Enjoy these aquatic activities in the most beautiful locations around Montpellier, in the Hérault, Gard and Lozère departments. 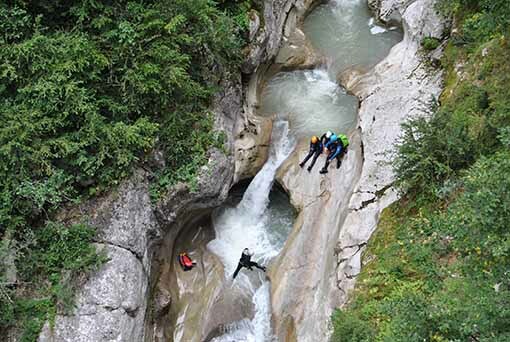 Let us guide you on an adventure where rivers and steep mountains formed deep river gorges and canyons. 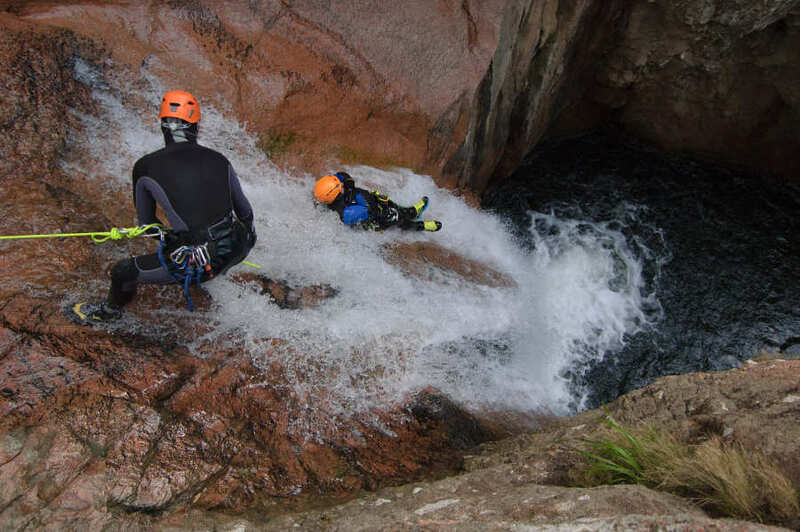 Canyoning also known as canyoneering is an outdoor activity that combines rock and water where you travel in canyons using a variety of techniques like walking, climbing, swimming, jumping, sliding, ziplining and abseiling (rappelling). 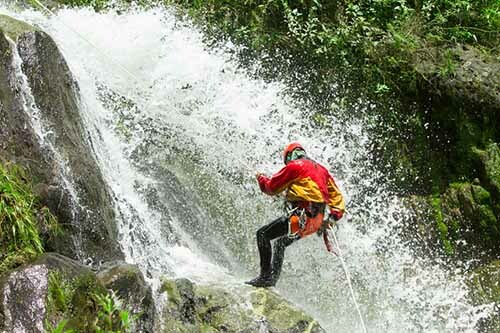 You will be trekking through river gorges, jumping into deep pools, sliding down natural water chutes and abseiling down waterfalls. It is fun and can be done by anyone above the age of 6. 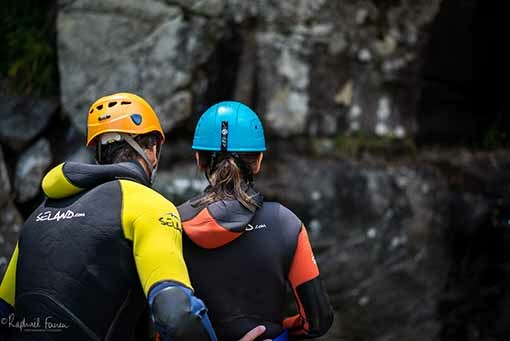 As lovers of the Cévennes and of the Montpellier hinterland, we have selected many canyons that you can do with your friends or your family. 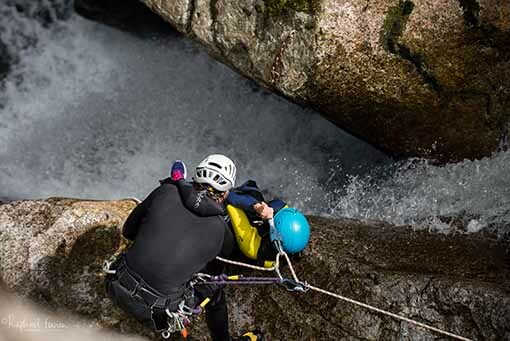 Whether you crave an adrenaline rush or you love sport activites in nature, our activities will allow you to see the south of France in a new light. You will be privileged to have experienced those natural beauties. 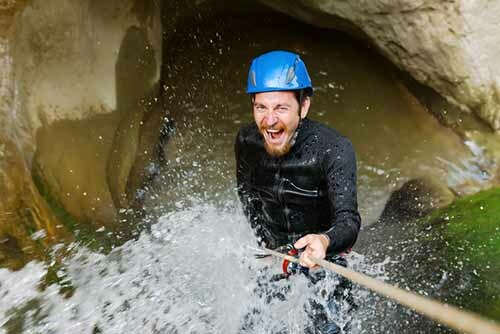 All our canyoning activities are guided by a certified instructor. They include the following technical gear: helmet, harness, neoprene socks and suit. The meeting time and location are to be set with your guide depending on the canyon you chose. Some take half a day and last 3 hours and others last a full day with 5 to 6 hours in the water. We will ask you to give us the height and weight of each participant to pick a neoprene suit adapted to your morphology. We accept payments in cash, cheques-vacances and cheques but NO credit cards. Each participant needs to bring a swimsuit, a towel, a pair of sneakers/trainers and a bottle of water. 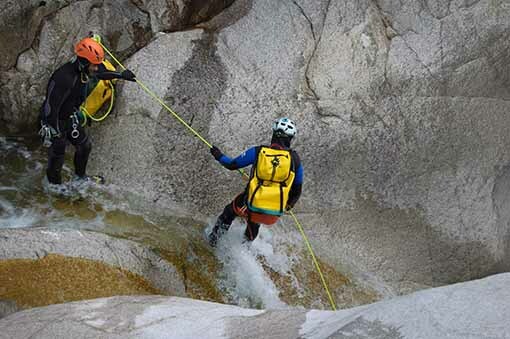 For longer canyons, you need to take your lunch with you. 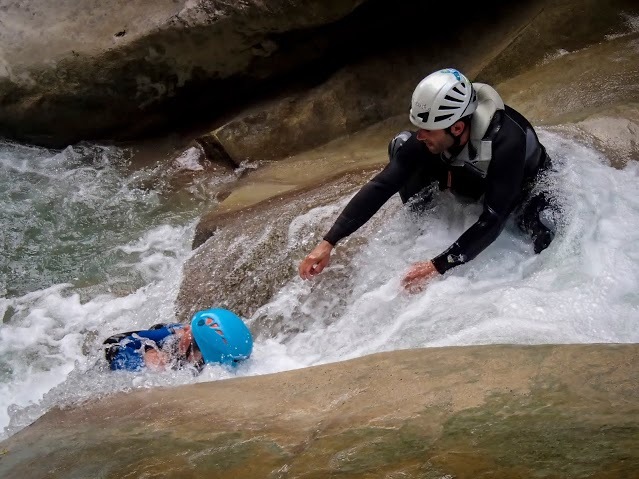 To book your canyoning activity, you can fill out the contact form at the bottom of the page, call us at +33 7 83 82 61 22 or go to the Contact page. 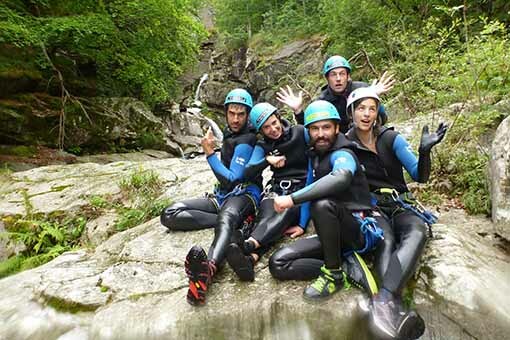 Canyon du Saint Vincent 120€/pers.